FIGS – the Focused Identification of Germplasm Strategy ― is a newtechnique for searching agricultural genebanks. It allows gene bank managers and agricultural researchers worldwide to screen large plant collections of plant genetic resources collections more rapidly and accurately than was previously possible using traditional methods. This helps improve the effectiveness of crop improvement programs. The world’s agricultural genebanks hold more than 7.5 million accessions of crops and their wild relatives – a valuable source of novel genes that can improve drought tolerance, disease resistance, and other traits. But the sheer number of accessions makes it difficult for breeders to identify those that might have useful traits. FIGS combines agro-ecological information with data on plant traits and characteristics to narrow down the search – identifying sets of plant genotypes with a higher probability of containing specific ‘target’ traits. FIGS grew out of early work by Michael Mackay in the 1980s, building on the core collection concept. Tasked with developing boron-tolerant wheat for Australian farmers, Mackay turned to accessions that had been collected from Mediterranean sites with soils of marine origin – soils that commonly contain toxic levels of boron. These accessions provided all the genetic variation needed to develop boron-tolerant cultivars. The goal is to develop a computer program that will walk a potential user through the process of using FIGS. 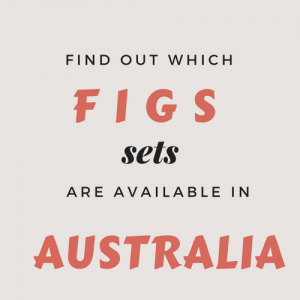 Special Updated Feature on FIGS - What is available in Australia?